We are family-owned and managed and for three generations our family has been committed to earth-friendly winegrowing. “Sustainable” viticulture is not only good for the environment, it results in higher quality fruit, a prerequisite for crafting world-class wines. 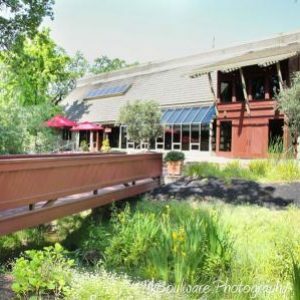 The winery is located on Napa Valley’s scenic Silverado Trail within the Rutherford District. Of Napa’s 16 designated AVA’s (American Viticultural Area), the district is renowned for producing unsurpassed Cabernet Sauvignon along with other premium varietal grapes. Visitors are welcomed 7 days a week and can relax and stroll in our estate’s 100 year-old olive grove with prior appointment. Rutherford Ranch Winery is on the site of the original Round Hill Winery started in 1978 by Ernie and Virginia Van Asperen and Charlie Abela. When the Van Asperens retired in 2000, Marko and Theo Zaninovich, long-time shareholders with the Van Asperen family, acquired the winery. The estate vineyards were replanted with superior vines and the winery and tasting room have undergone significant renovations. Yet, the estate’s 100 year-old olive grove and unpretentious charm remain essentially unchanged. At Rutherford Ranch, we have a variety of winery experiences to tempt you. Wine tastings are offered daily from 10:00am to 4:30pm at our property on the beautiful Silverado Trail. Enjoy a selection of wines from our family’s portfolio of wines from Rutherford Ranch Winery and Scott Family Estate . Please reserve an appointment with our hospitality department by calling 707.968.3200 or email tastingroom@rutherfordwine.com. Of the 16 sub-appellations in the Napa Valley, the Rutherford AVA may be the most renowned. Legendary winemaker André Tchelistcheff said, “It takes Rutherford dust to grow great Cabernet,” and Rutherford Ranch Winery has a number to choose from. Our full line of award-winning premium Napa Valley varietals include a selection of Cabernet Sauvignons (several only available at the winery), Sauvignon Blanc, Chardonnay, Merlot, Zinfandel and Rhiannon, a delicious proprietary red blend. Our winemaking team crafts elegant, true-to-the-varietal wines with fruit sourced from the two estate vineyards and select vineyards sites throughout the valley. The cooler sites yield grapes with bright, rich flavors and tropical fruit characteristics. Warmer sites within the valley produce grapes with deep, intense flavors. Together they provide the winemakers with an unequaled palette of flavor and character and quality.